While Joy Shannon is best known as the front woman of Joy Shannon and the Beauty Marks, she is also a writer. Along with her visual art and music, Joy has been writing poetry, short stories, magazine articles, and screenplays since she was a child. Over the years, Joy became fascinated with historical cultural patterns, which often served as the source material or focus for her visual art and music. For example, her 2010 album “The Black Madonna” and accompanying visual art were inspired by the Western European historical shift away from matriarchal, goddess-based spirituality into patriarchal Christianity. In these offerings, she examined the emotional impact of this shift upon women’s identities, both in the past and to this day. These cultural investigations led Joy to pursue an MA in American Studies at Cal State Fullerton with a focus on art history, countercultures, and Irish culture. 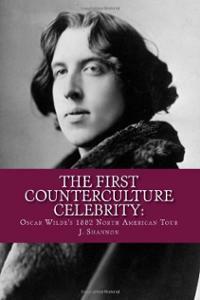 Joy’s first venture into publishing a full-length book was the 2011 manuscript The First Counterculture Celebrity: Oscar Wilde’s 1882 North American Tour, which was originally Joy’s thesis project for the completion of her master’s degree. The book represents a full-circle moment for Joy because Oscar Wilde was one of her first artistic inspirations as a child: She was deeply inspired by his sass and the way he daringly self-created his artistic career while defying cultural norms. Her book investigates several of her favorite interests, such as the interaction between Irish and American cultures and how the arts and countercultures challenge and react to mainstream culture. For those who might be skeptical at finding historical research engaging, Joy brings a sense of wild excitement, humor, and poignancy to the excellent body of research on Oscar Wilde. She takes the reader on the 1882 tour as if it is a modern rock-and-roll tour, with press controversy and an abundance of hilarious Wildean witicisms. In January 1882, Oscar Wilde embarked on a lecture tour of the United States and Canada. Wilde was lecturing about the English art movement Aestheticism in conjunction with the comic opera by Gilbert and Sullivan called Patience or Bunthorne’s Bride, which mocked the movement. Stretching from the East to West Coast, this was one of the very first press tours of its kind, made possible by new, faster train transportation and more press coverage. With his cunning, witty interaction with the press and his fantastical, gender-role-defying clothing, Wilde embodied a new cultural phenomenon: the counterculture artist celebrity. By detailing how Wilde defied Victorian gender roles while spreading the counterculture ideals of Aestheticism, this book shows the lasting cultural impact of Wilde’s 1882 tour. Joy Shannon has worked as the music editor for the OC Art Blog as well as a contributing writer to Terrorizer Magazine in the UK, the Rogue Art and Research Writing Journal, Culture Magazine and the IE Weekly. 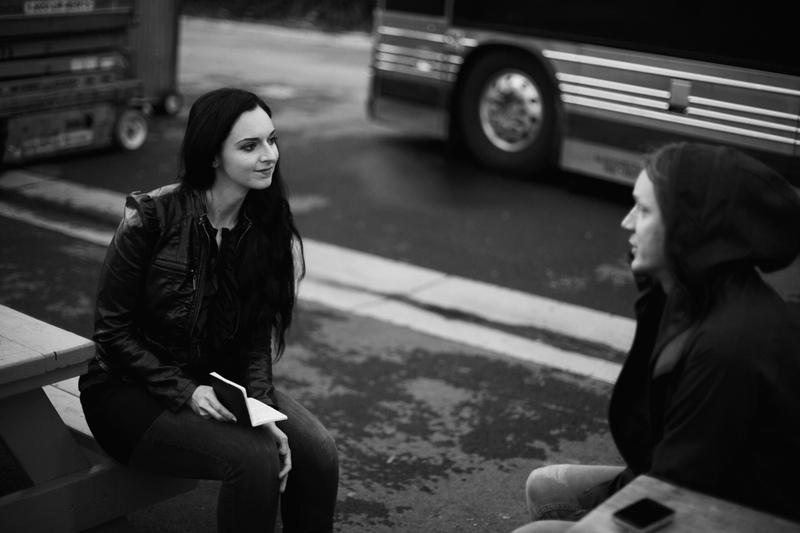 She has interviewed numerous musicians and artists, including Alcest, Mikael Akerfledt from Opeth, Children of Bodom, Baroness, and Mike Giant.